Do Essential Oils Really Work When It Comes to Oral Health? Home / Holistic Dentistry / Do Essential Oils Really Work When It Comes to Oral Health? In caring for their patients, holistic dentists make use of both modern science and traditional healing wisdom – including the use of plant-based medicine. Many botanicals have been used for ages, having proven their worth over thousands of years. These include clove, cinnamon, garlic, tulsi, caraway, and neem. Neem – or Azadirachta Indica, if you want to get fancy and Latin about it – is an evergreen that’s native to the Indian subcontinent. So it’s no surprise that the plant plays a big role in the ancient medical art of Ayurveda. Through the centuries, neem has been used to treat skin diseases and infections, as well as to improve liver function, detoxify the blood, and balance blood sugar. Neem twigs have long been used to clean teeth, as well as freshen breath and ease the pain of toothache. Neem leaf extract, containing polyphenols that adhere to oral surfaces, [has] the potential to provide long-lasting antibacterial as well as synergic antioxidant activities when in complex with bacteria, red blood cells and lisozyme. Thus, it might be especially effective in periodontal diseases. Past research suggests that neem can even hold its own against chlorhexidine, a chemical antiseptic that’s generally considered the gold standard in dentistry. It’s effective, but if you’ve ever used it, you know it tastes pretty terrible and can stain the teeth a bit – hence, the desire for an alternative. Now new research in the Journal of Contemporary Dental Practice echoes these earlier studies. For the study, 60 participants who were having their teeth straightened with braces were split into three groups. (Why braces? Fixed orthodontics can sometimes make hygiene a little challenging, so preventing decay and gum disease are of special concern.) One group used chlorhexidine, while another used a neem rinse. The last served as a control group and rinsed with distilled water. After one month, patients using the chlorhexidine and neem mouthwashes had significantly improved plaque index scores, gingival index scores, and S. mutans counts compared with those who rinsed with water. Chlorhexidine performed better than neem in all three metrics, but the difference between the two was only significant for gingival index scores [a measure of gum health]. 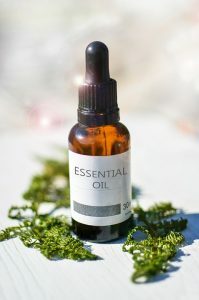 [the] addition of daily rinsing with an EO [essential oil] mouth rinse to mechanical oral hygiene provided statistically significantly greater odds of having a cleaner and healthier mouth, which may lead to prevention of disease progression. Another large review published earlier this year came to a similar conclusion – both for essential oil rinses alone and in comparison with conventional rinses. In this modern, trendy world, we have done enough damage to nature. It is high time we start changing ways, to synchronize ourselves with nature, providing ample space for each other. Here we are trying to retrieve and learn the ancient Indian ways, which can still be infused into our fast-paced lives for a good effect, benefitting our future generations to come.